The arrested persons are identified as Satyanarayana, Diamond Raja, Saravana Priyan, Rajagopal and Kishore from Tamil Nadu. Bengaluru: Five persons were arrested in Bengaluru Monday with demonetised notes of the face value of Rs 2.5 crore, police said. "On a tip-off, police searched a car on St. Mark's Road in city centre and took five persons into custody for trying to exchange old currency notes with the face value of Rs 2.5 crore," Deputy Commissioner of Police, Central, Chandra Gupta told reporters. "The arrested persons are identified as Satyanarayana, Diamond Raja, Saravana Priyan, Rajagopal and Kishore from Tamil Nadu, all aged between 30 and 35 years," he said. A case has been registered at Cubbon Park police station under Sections 420 of the Indian Penal Code, 41B of the Criminal Procedure Code and 7 of the Specified Bank Notes (Cessation of Liabilities) Act, 2017. "The accused are in our custody. We will produce them in the court on Tuesday," said Cubbon Park police inspector S Nagaraj. This was the latest in the seizure of sizeable quantities of demonetised money in Bengaluru in March and April. 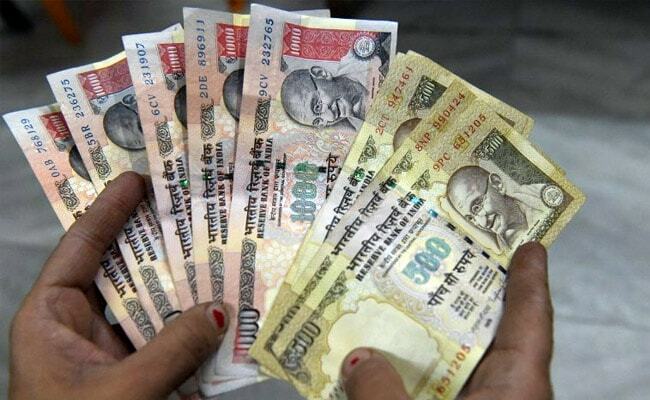 On March 23, two men were arrested with demonetised notes of Rs 1.28 crore face value and within a week, on March 28, four men were arrested with old notes of face value of Rs 4.98 crore. On April 2, 14 men were arrested with demonetised notes of the face value of Rs 9.1 crore, while on April 15, former corporator V Nagaraj's residence and office were raided and demonetised notes of the face value of Rs 14.8 crore seized. On April 29, seven persons were arrested with demonetised notes of the face value of Rs 96.9 lakh.